Wessels manufactures three heat exchanger designs: Plate and Frame, Brazed Plate, and Shell and Tube. 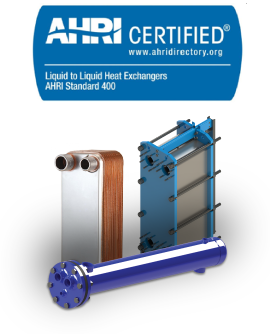 All heat exchanger styles have models that are either ASME or Non-ASME coded and AHRI certified (WesPlate® only). Flow rates range from 30-10,000 gallons per minute. Heat exchangers are manufactured to efficiently transfer heat between two fluids (gas or liquid) while keeping them separate. In typical HVAC installations, steam or hot water primary loops distribute heat from a central energy source out to secondary loops. Heat exchangers transfer heat from a system’s primary and secondary loops and can also serve as a separation device to reduce system costs. Applications include domestic water heating, radiant heating, district heating, pool heating, condensate cooling, air conditioning, snow melting, and more. The WesPlate® Heat Exchanger consists of an ASME certified frame that contains a series of corrugated stainless steel plates designed to maximize turbulence and heat transfer. Gaskets are fixed between the plates to contain two separate fluids that flow alternatively to produce the highest rate of heat transfer. 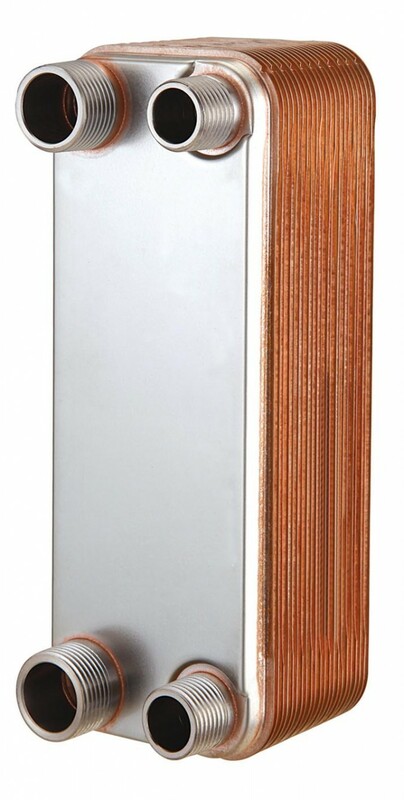 The WesTube® Heat Exchanger consists of two sides for two different media. The Tube Side media flows inside the tubes and is diverted by the heat exchanger head located on the end into two or four passes or circuits. The Shell Side fluid flows on the outside of the tubes and is contained by the shell where it is diverted by baffles or tube supports that also carry the weight of the tubes.